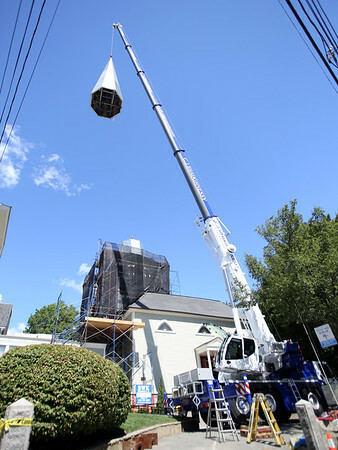 The new steeple for St. Michael's Church in Marblehead is hoisted high above the tree line and atop the church. DAVID LE/Staff photo. 8/28/14.